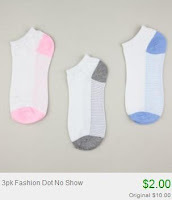 Ladies Socks from $0.58 a Pair + 10% Off or Free Shipping! 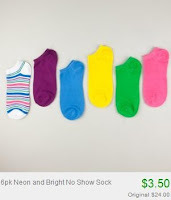 HURRY over to Totsy and check out their Women's Sock Event to score socks for as low as $0.58 a pair!! You can get 6-pack sets for just $3.50, 3-packs for $2, or single socks for $1. There's plenty of colors and styles to choose from, from funky to practical.